Advertise at the right place and time. Pay-per-click (PPC), paid search, search engine marketing (SEM) — however we refer to buying ads on search engines, it’s always focused on smart spending. It’s designed to reach consumers at the times and places where they’re most likely to be interested in learning more about you or in buying your service or product. Every aspect of paid search can be measured, so you know the exact costs to run your ads and your ROI. Because search marketing can be so tightly targeted, and because you pay for each click, a campaign must be built on clearly defined goals. The search engines and social media platforms make it fairly easy to get started with paid ads, but without a strategy, your money can be wasted when you pay for clicks from unqualified leads. Well-planned ad buys ensure a better ROI by attracting website visitors who are likely to be ready to engage with you. Learn about our pricing for SEM campaigns. Gain insights you can use. Search engine advertising is data-driven from start to finish and yields insights you can apply across your marketing programs. It can tell you a lot about your customers, from the terms they use to find what you have to offer to which days and times they’re most likely to search for your product or service. The information gathered through paid search campaigns can also give you input on topics for blogs, web pages, or article marketing. What search engine advertising can do. Paid search is now a mature advertising tactic — Google introduced AdWords in October 2000 — and it’s become an essential strategy for the world’s largest brands. High-quality leads: Only people who are actively searching for you are targeted. Costs you can control: The relevance, content, and quality of ads can be continuously refined to lower your cost per click while reaching targeted consumers. For best results, consider having your SEM and SEO managed by a single marketing partner. The two disciplines are very different and require distinct skill sets, but when knowledge and data can be easily shared, campaigns on both sides of the equation can be improved more quickly and efficiently. If a separate SEM provider is a better fit for your needs, look for one who is more interested in learning about your goals for paid search than in telling you about their processes. You’ll also want to make sure you will own your data — not all marketers allow that. Our paid search campaigns have repeatedly delivered dividends to our clients, from reducing costs-per-conversion by 73% to increasing conversions by 174%. The keys to results such as these are closely monitoring campaigns, gathering and carefully analyzing data, and making incremental adjustments that yield the greatest insights. Because customer behavior isn’t happening in an online vacuum, we also look for outside influences on campaign performance, such as changes in financial markets or the occurrence of events relative to a client’s offering. In all cases, we repeat a cycle of testing, learning, and refining to make the best use of our clients’ budgets. 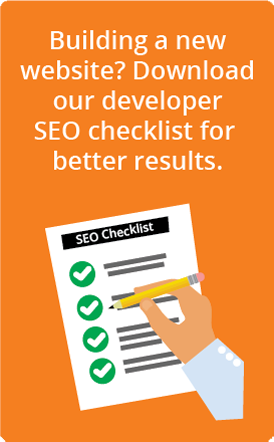 SEM and SEO — better together. SEO and SEM share the goal of increasing qualified leads, but they differ in important ways. Search engine optimization is usually a longer-term strategy than paid search campaigns — SEO builds your company’s visibility over time using a range of tactics to grow your web presence. SEM, however, can get results for specifically defined goals almost immediately. SEO’s longer cycle provides sustained advantages, such as a steady increase in the authority of your website, while SEM puts you in front of your targeted customers quickly. SEM is useful for quickly testing consumers’ reception to a new service or new product feature, or promoting something that doesn’t fit naturally into other marketing or advertising channels. The data gathered from SEM campaigns can be used in SEO keyword research by identifying the keywords that convert best. Paid ads can get exposure for keywords that are highly competitive, which can take time to rank for with SEO. SEM can give you insights into where your customers are in the buyer’s journey. PPC ads increase brand awareness, which always supports SEO success. Find out if SEM is right for your business. Paid search can offer great benefits, but it’s not a fit for every client. If you’d like to explore how it can help you, please contact us for a free consultation at 904-270-9778. Find out if PPC is right for your company with a FREE consultation.